Tech Tip for Busy Teachers! Have you discovered Bloomz yet? Hello all! It is me! Hilary from Primary Planet (blog formerly known as Second Grade is Out of This World!) Today I want to share with you a WONDERFUL new app that I discovered this summer. This app has EVERYTHING that you need to communicate with parents. It is called Bloomz. With this app (for both Apple and Android) you can send messages, pictures, calendar dates, coordinate volunteers and parent conferences securely all in one place! I am seriously digging this! You can also use it online. If parents decide not to download the app, they will still get all of the notifications in the e-mail that they registered with! I wish it were easier to find the notifications. I get a notification that someone posted or responded to a message or post and I have to hunt it down. I am not fond of the calendar layout. Any dates you put in the calendar show up in the feed, they don't have their own separate area. They are easy to get lost in the shuffle. I have not used the scheduling features yet, but they look easy easy to use! I am loving this app! It is a whole new way to communicate with parents all in one place! Check it out, you won't be sorry! I am not affiliated with Bloomz in any way, I just LOVE this app! I am the head of product design at Bloomz. 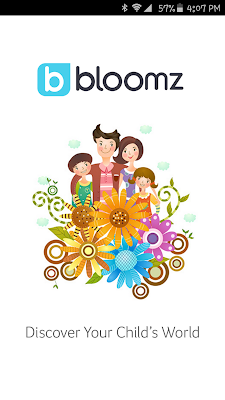 We're so excited to hear that you are enjoying using Bloomz. Thank you for your constructive feedback on how we can make the app work even better for you. If you have time, I would love to get on a call with you to better understand how we can address this. Please email me at edmund@bloomz.net so that we can set up a time convenient for you to chat.